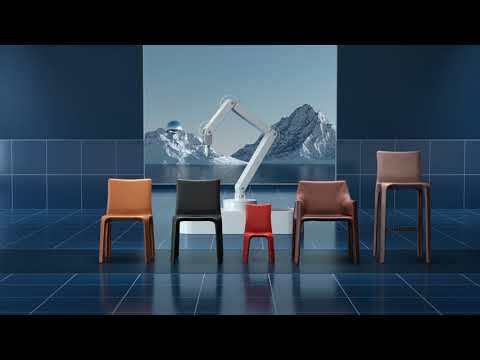 Cassina SpA is an Italian manufacturing company specialised in the creation of high-end designer furniture. The "Amedeo Cassina" company was created by the brothers Cesare and Umberto Cassina in 1927 in Meda, Brianza, (Northern Italy). After the war, Cassina continued to expand in size and fame, with products which covered a broad range of furniture including: chairs, armchairs, tables, sofas and beds. Cassina has shown a striking inclination for research and the ability to spark multi-participant dialogues between the most talented designers of both the 20th and 21st centuries – Gio Ponti, Vico Magistretti, Mario Bellini, Philippe Starck & Piero Lissoni to name but a few - with quite diverse sensibilities, styles and creative spirits. Cassina holds the worldwide production rights for the iconic Le Corbusier range of furniture designs.  Since 2005 Cassina has been part of the Poltrona Frau Group, worldwide leader in the high‐end furnishing sector and international spokesperson for the best design made in Italy. In June 2013 Cassina acquired Simon – the historical Italian furniture design brand founded by Dino Gavina and Maria Simoncini: two pioneering companies united today by an experimental approach and the expression of the relationship between culture and production. Cassina SimonCollezione, inserted in the Cassina I Contemporanei Collection, brings together renowned names such as Carlo Scarpa, Marcel Breuer and Kazuhide Takahama. Cassina collections of lounge seating, chairs, tables, beds and storage systems may be viewed at our website.